Jewelry line Connie n’ Jack is equal parts retro and modern. Designed by Atlanta-based artist Alyssa Cassatto, the brand (named after her parents) has a tribal feel with a bit of a ’60s vibe. 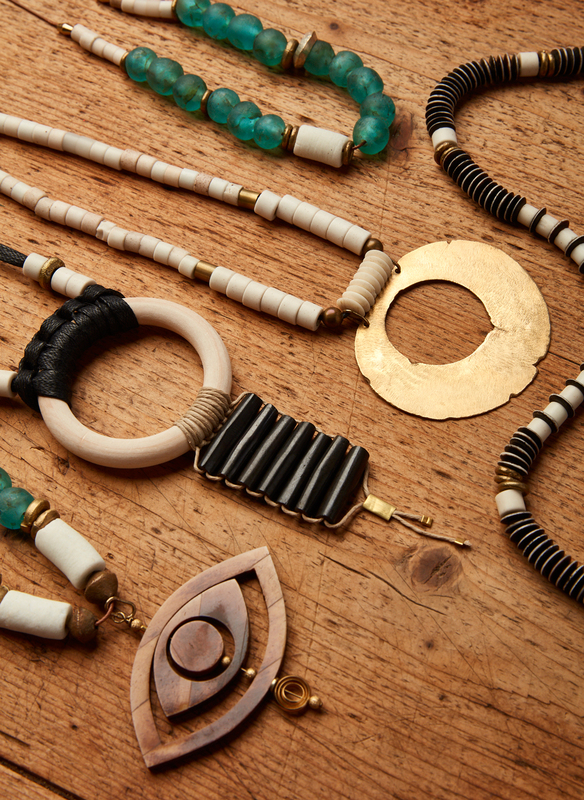 Long rope “eye” necklaces in carved horn, stamped metal hoops, and recycled glass and porcelain chokers are just the beginning for Cassatto, who releases new handmade pieces weekly on her Instagram (@connienjack) and is branching out into home accessories. The mostly neutral tones of her collection evoke simplicity while managing to feel anything but minimal. By blending materials, shapes, designs, patterns, influences, and crafting methods, her work is as much art as it is fashion. If you’re craving new specs, consider swapping your outdated prescriptions and shades for the playful styles at Karoo in Ponce City Market. We’re digging the optical boutique’s floral-patterned and mod two-tone thick frames. You can select a pair for just $149 and have your lenses cut the same day. Insider tip: Bring in an old pair for recycling and receive 10 percent off your new ones. Fans of Atlanta designer Megan Huntz are logging on to ofakind.com to snag one of the limited edition “Charlie” dresses she designed exclusively for the online retailer. The sweet, midi-length, belted, A-line silhouette with a scoop neckline in carmine red is the ideal eye-catching piece to take you from late summer into full-fledged fall ($270). While online, add something to your cart for the kiddos: Alternative Apparel is launching its first children’s line this month with the same environmentally responsible, cozy cotton tees grownups have come to love from the Atlanta-based retailer. To take that sustainable textile mantra into your living room, check out Atlanta lifestyle designer Rochelle Porter’s bright and playful pillow collection with watercolor designs made using organic materials and ecofriendly dyes. 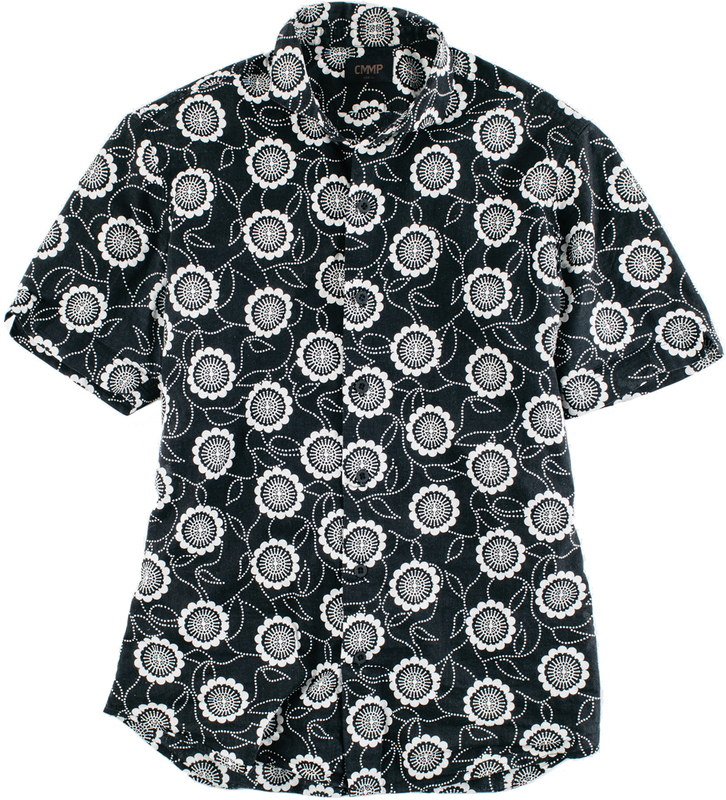 Gear up for our barbecue feature on with this daisy-bedecked “BBQ Shirt” from Commonwealth Proper ($245). 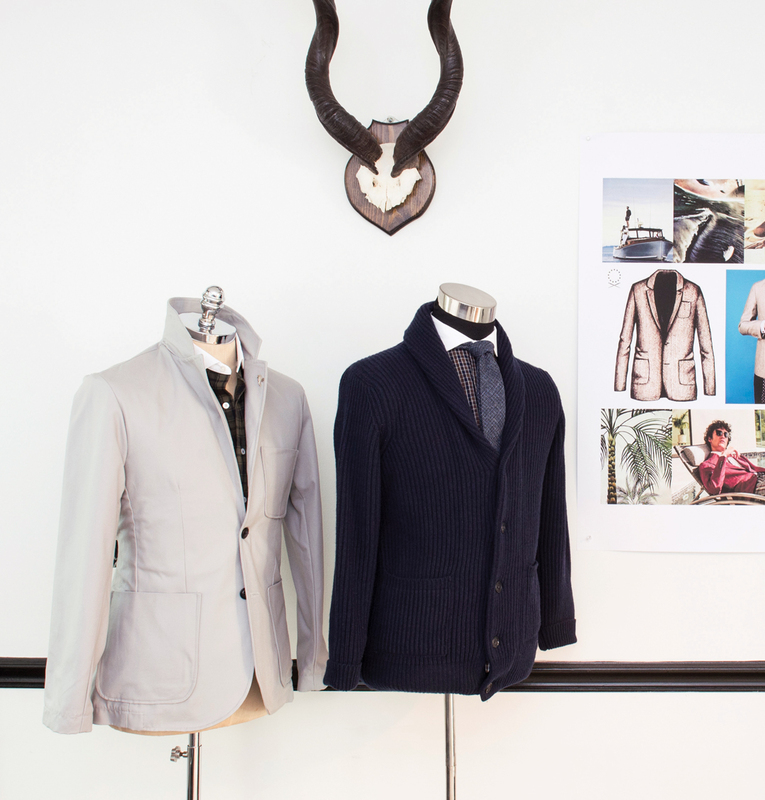 The custom men’s clothier recently introduced its first ready-to-wear collection. The new RTW pieces—like a soft-shouldered jacket ($395)—feature the same fabrication and exclusive materials as their made-to-measure designs. They also reflect the 10 years of fit research that have gone into crafting the brand’s signature tailored look. Order online, or pick up these threads at the Buckhead showroom.